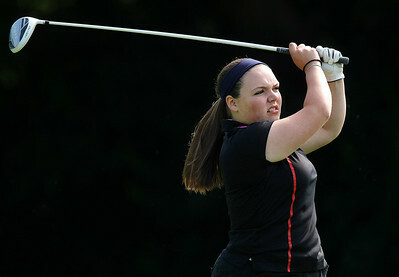 Matthew Apgar - mapgar@shawmedia.com Caroline Giorgi of Huntley follows through with a drive at the 10th hole during the Marengo Ridge Open 2015, a McHenry County Junior Golf Association tournament at Marengo Ridge Golf Course, on Thursday, July 9, 2014 in Marengo. Matthew Apgar - mapgar@shawmedia.com Brittany Reid of Cary Grove follows through with a drive at the 10th hole during the Marengo Ridge Open 2015, a McHenry County Junior Golf Association tournament at Marengo Ridge Golf Course, on Thursday, July 9, 2014 in Marengo. Matthew Apgar - mapgar@shawmedia.com Ben Prisching of McHenry watches his putt head for the 4th hole during the Marengo Ridge Open 2015, a McHenry County Junior Golf Association tournament at Marengo Ridge Golf Course, on Thursday, July 9, 2014 in Marengo. 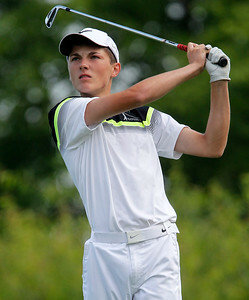 Matthew Apgar - mapgar@shawmedia.com Keaton May of Cary Grove lines up his shot at the first hole green during the Marengo Ridge Open 2015, a McHenry County Junior Golf Association tournament at Marengo Ridge Golf Course, on Thursday, July 9, 2014 in Marengo. Matthew Apgar - mapgar@shawmedia.com Natalie Flynn of Johnsburg follows through with a drive at the 10th hole during the Marengo Ridge Open 2015, a McHenry County Junior Golf Association tournament at Marengo Ridge Golf Course, on Thursday, July 9, 2014 in Marengo. Matthew Apgar - mapgar@shawmedia.com Joe Thompson of Prairie Ridge chips the ball to the green at the first hole during the Marengo Ridge Open 2015, a McHenry County Junior Golf Association tournament at Marengo Ridge Golf Course, on Thursday, July 9, 2014 in Marengo. 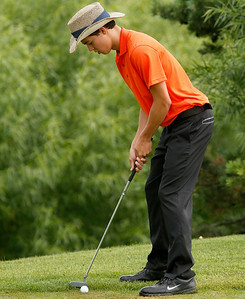 Matthew Apgar - mapgar@shawmedia.com Zachary Tuszynski of Crystal Lake Central putts on the first hole during the Marengo Ridge Open 2015, a McHenry County Junior Golf Association tournament at Marengo Ridge Golf Course, on Thursday, July 9, 2014 in Marengo. 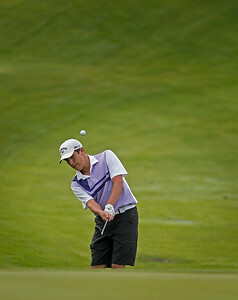 Matthew Apgar - mapgar@shawmedia.com Connor Wascher of Marengo follows through on a drive at the second hole during the Marengo Ridge Open 2015, a McHenry County Junior Golf Association tournament at Marengo Ridge Golf Course, on Thursday, July 9, 2014 in Marengo. 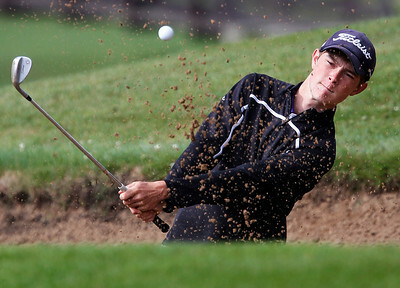 Matthew Apgar - mapgar@shawmedia.com Jack Markham of Barrington chips out of a sand trap on the first hole during the Marengo Ridge Open 2015, a McHenry County Junior Golf Association tournament at Marengo Ridge Golf Course, on Thursday, July 9, 2014 in Marengo. Matthew Apgar - mapgar@shawmedia.com Jacob Tuttle of Hampshire chips the ball to the green on the first hole during the Marengo Ridge Open 2015, a McHenry County Junior Golf Association tournament at Marengo Ridge Golf Course, on Thursday, July 9, 2014 in Marengo. 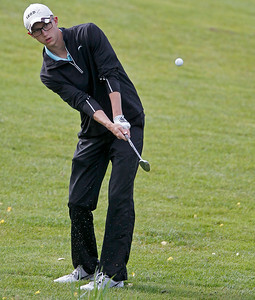 Matthew Apgar - mapgar@shawmedia.com Ben Prisching of McHenry follows through with a drive at the 10th hole during the Marengo Ridge Open 2015, a McHenry County Junior Golf Association tournament at Marengo Ridge Golf Course, on Thursday, July 9, 2014 in Marengo. Matthew Apgar - mapgar@shawmedia.com Dale Sinclair of McHenry follows through with a drive at the tenth hole during the Marengo Ridge Open 2015, a McHenry County Junior Golf Association tournament at Marengo Ridge Golf Course, on Thursday, July 9, 2014 in Marengo. 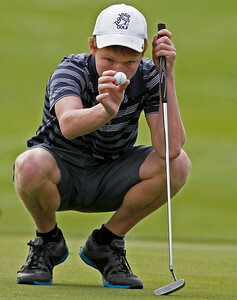 Matthew Apgar - mapgar@shawmedia.com Austin Keefer of Marengo putts onto the green at the first hole during the Marengo Ridge Open 2015, a McHenry County Junior Golf Association tournament at Marengo Ridge Golf Course, on Thursday, July 9, 2014 in Marengo. Dale Sinclair of McHenry follows through with a drive at the tenth hole during the Marengo Ridge Open 2015, a McHenry County Junior Golf Association tournament at Marengo Ridge Golf Course, on Thursday, July 9, 2014 in Marengo.